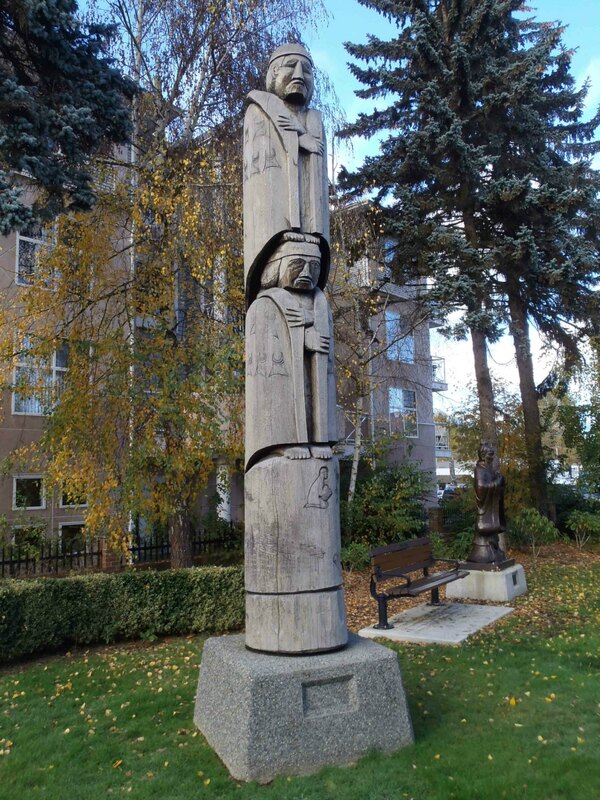 The Cedar Woman and Man pole was carved in 1988 by Simon Charlie (1920-2005). It is 4.7m (15’4″) high and stands at the intersection of Government Street and E.J. Hughes PLace. 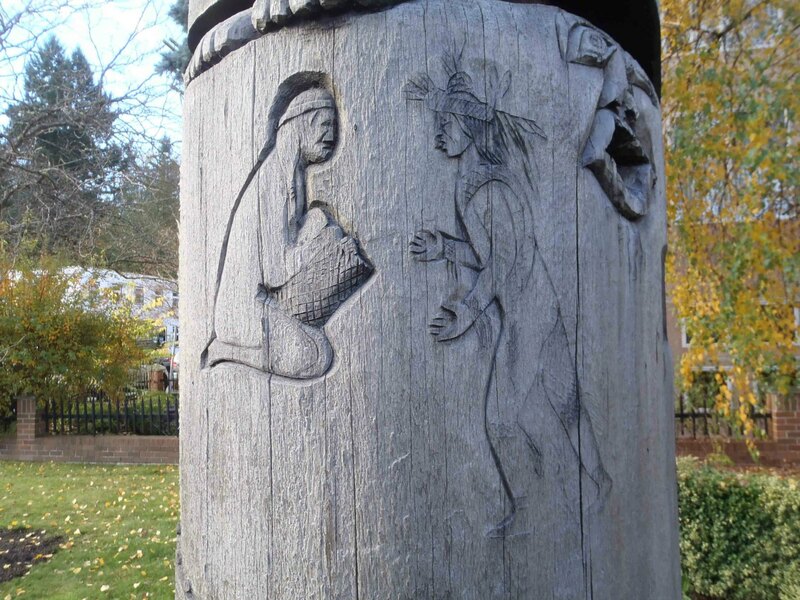 The man and woman depicted on this pole are wearing woven Salish blankets. The two figures represent a balance between the female and male aspects of life. The base of the pole features symbols that are important objects for the Quw’utsun’ people. Carving detail on Cedar Woman and Man totem pole, Duncan, B.C. The base of the Cedar Woman and Man pole features symbols that are important objects for the Quw’utsun’ people.